When you want a Garden bridge that's less work and more play. We offer bridges made with Choice Premium composite material with a rich wood grain look and feel in two different colors. Red and Slate Gray. It does not need a sealer or paint or weather treatment. 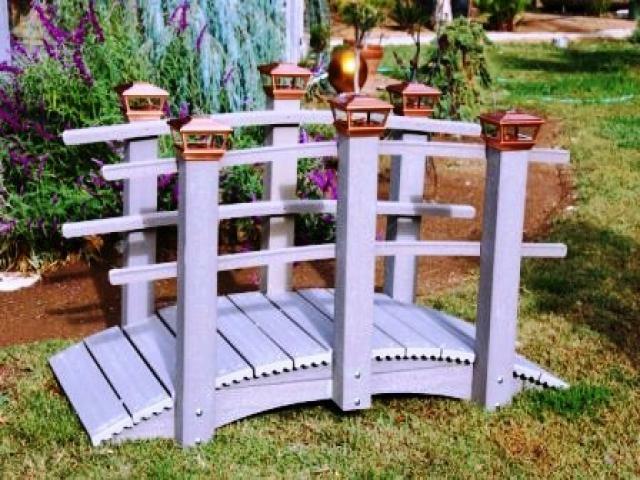 There is no up keep ever to worry about.Our bridges accentuate all flower beds, landscapes,and ponds to your liking. It's not Plastic - it's Composite! ChoiceDek® composite products are made of a unique combination of wood and plastic fibers. ChoiceDek® get the plastic and wood fibers from reclaimed or recycled resources. 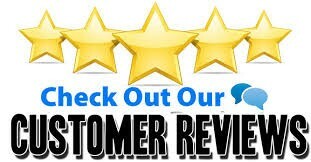 Including sawdust and used pallets from woodworking operations, and recycled plastic grocery bags from all over the country. 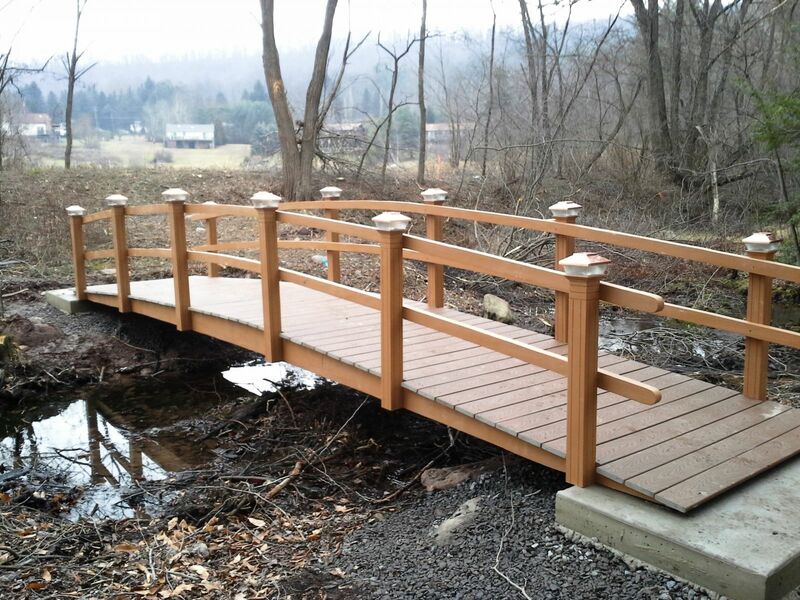 We recommend ChoiceDek® Composite materials in our Bridge-Building process because it keeps thousands of tons of wood and plastic scraps out of landfills every year, while delivering our customers Garden Bridges that are not only beautiful and long-lasting, but also environmentally responsible. 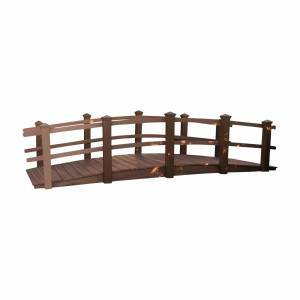 ChoiceDek®/ Trex are the right choices for Bridges and the enviroment. They are about double the cost of a wood bridges. Please contact us for a price quote on different sizes of our composite bridges.